Email & Mobile Marketing Benchmarks: How Do You Measure Up? How are your email and mobile marketing programs performing compared to the average in your industry? And more importantly, how much work do you need to do to join the ranks of the top performers? Discover the latest mobile and email benchmark data and learn how you can better measure your success and improve future initiatives. 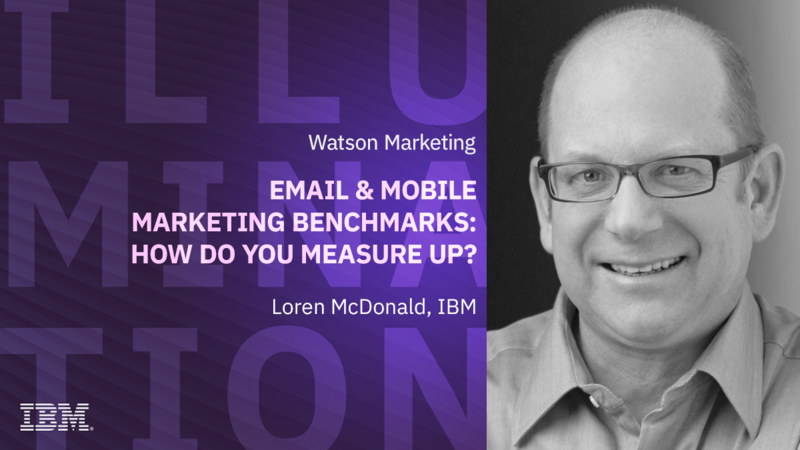 In this webinar, Loren McDonald will share results of IBM Watson Marketing’s exclusive “2018 Email and Mobile Marketing Metrics Benchmark Study,” an analysis of email and mobile metrics from messages sent during 2017. And Katie Key, Director of Operations with HarperCollins Publishers, will share her perspectives as a long-time user of benchmark data, successes, pitfalls and her observations on the meaning of the metrics themselves.